This $21 cardboard box can beam mobile video onto any wall and turn any smartphone into a CINEMA PROJECTOR. 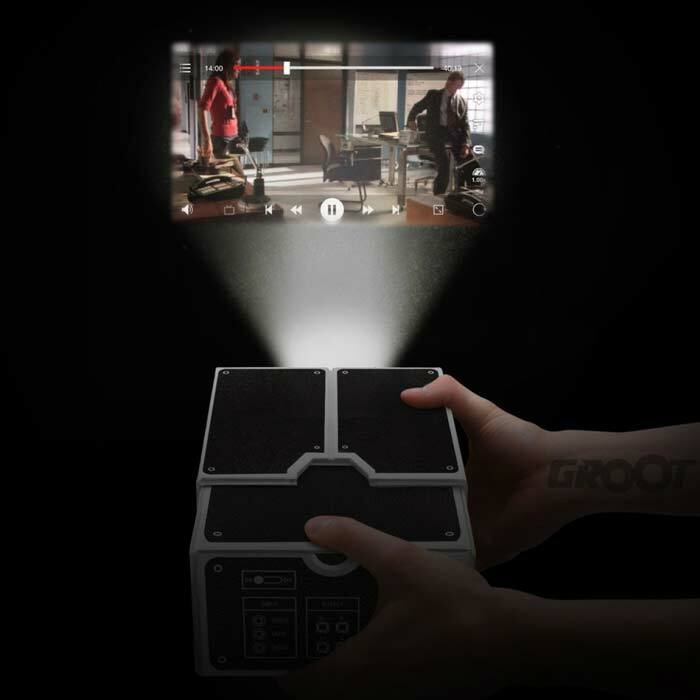 Turn Any Smartphone Into a cinema projector – The best footage is usually captured on a smartphone – and now a new affordable gadget could make watching memorable moments more enjoyable. Instead of crowding around a tiny smartphone to view viral videos, the Smart Phone Projector lets you display the footage on any surface. Made from cardboard, the simple design also claims to amplify the sound without the need for additional wires or a separate sound system. It has a 8X-10X magnifying lens at the front to increase the video size on a wall and a grip pad on the back to securely hold a smartphone in place. The system was created by some geeks in London who wanted to develop a device that featured modern technology but with a vintage feel. Made from cardboard, this smartphone projector is among the most compact & lightest projector that currently exists on the market! Straight out of the box it comes ready to project your videos and games as you kick back and relax. For maximum effectiveness, make sure to use the projector in a dark room and to turn your phone brightness to 100-percent. The portable gadget costs $27, and means you can turn any room in your home into a cinema screen. This innovative projector makes the perfect gift for any gadget lover. Made from cardboard, with a glass lens ready to be assembled. 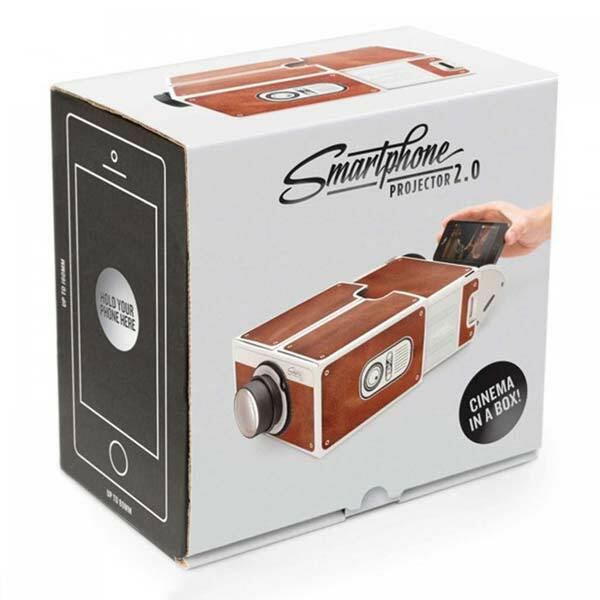 This entry was posted in Awesome Gadgets and tagged Retro Smartphone Projector 2.0, Smartphone Projector 2.0.